A machine at The Simpsons 500th Episode Party. The Simpsons Pinball Party is the pinball game released by Stern Pinball on February 14, 2003. 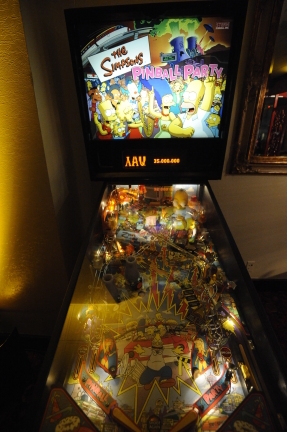 It is the second Pinball Machine to be released based on the show, the first being The Simpsons, released by Data East. "The adventures of the "Simpsons" Family are transformed into a wild affair in this pinball! It features many of The Simpsons favorite characters on a two-level playfield, influenced by classic Simpson's episodes. 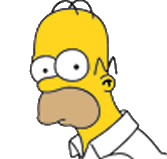 The object of Simpsons Pinball Party is to help the citizens of Springfield party like there's no tomorrow. The game features a talking / moving Homer head, Bart on a skateboard attached to a captive ball, Itchy and Scratchy drop targets, Comic Book Guy, dot matrix color TV, a monorail that transports the ball across the playfield and a couch that when filled with 3 balls starts the multiball!" There was one of these machines at The Simpsons 500th Episode Party. Modified on January 5, 2016, at 17:33.